Margaretha Charlotte Urban (nicknamed Lotty) was born on 31 March 1915 in Amsterdam from the marriage of Nicolaas and Berendina Urban, ten years after her sister Marijke. A Dutch citizen, she took French citizenship on the occasion of her marriage to Henri Tambuté in 1939, whom she divorced in 1949 to marry Michel Leteneur. 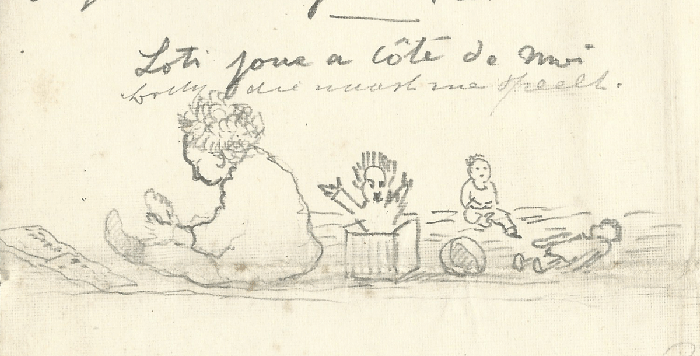 She had four children: Geneviève Tambuté by her first husband, and Florence, Jérôme and Corinne Leteneur by her second husband. Philippe Smit lived with the Urbans during the First World War and knew Lotty from birth. Still a child when her parents separated, she lived with her mother and the painter until her marriage. All her life a very strong affection linked her to Philippe Smit. Beginning in 1918, Smit painted her on a number of occasions over a period of 20 years. In 1931, he painted her by a window opening onto the forest [PS 387] in the studio, which was part of the house of Recloses that was acquired under her name in 1926. Dreamy and warm, she devoted the last years of her life to a naive and often charming style of painting. 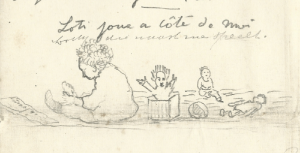 Drawing by Philippe Smit illustrating his little note to Marijke added to the letter of Berendina addressed to her daughter who was staying at a friends’ home in Ede (ALS, n.d. , private archives, Paris). 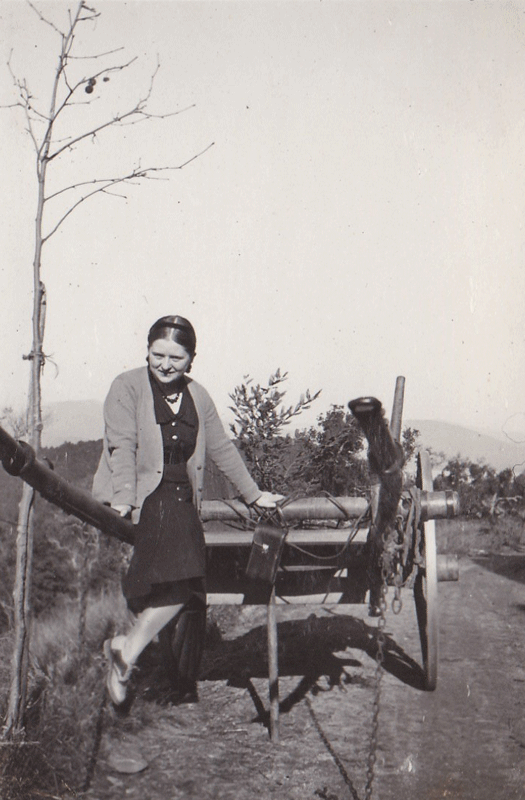 Lotty in southern France, 1932.